New name, same ultimate experience. Our name’s dropped a few letters, but we’re looking forward to building and gaining a whole lot more. Here, two of our owners Duane Lineker and Tony Truman provide some insight on the start of a new era. 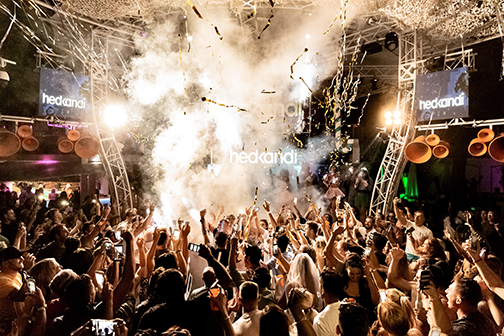 Tell us about the re-brand, when you had such a household name, why change to O Beach Ibiza? We were very happy with how we positioned our venue as a brand and the fact it has become a household name in just 6 years is incredible. We took the original name in the belief that it remains up to date, that the word ‘Ocean’ was a global unilateral word and that as such its use should give raise to no sort of problem whatsoever. However, at a certain point it became apparent that it could conflict with third parties and hinder us when moving in to foreign territories and as they say sometimes you cannot become what you want by remaining the same and for us to mark the stage of an exciting new era changing our name was a necessity. Therefore we are very pleased to announce that along with our slight rebrand, we’re also planning to move into other territories with plans for Dubai, the USA and Croatia. Does the rebrand represent a shift in the brand direction? Not a shift exactly but more of an exciting new chapter which will enable us to grow into new markets and develop as a brand. The new branding is going to have a very smooth transition and in actual fact we have already been covertly placing it in various places across the summer, including our staff uniform and merchandise and for those who’ve noticed these little implementations they’ve fully embraced the new identity already. In terms of the brand and venues current and future you can expect the same impeccable quality throughout whether that’s service, entertainment, cuisine, beverages or the venues themselves. What do you think is the biggest challenge with the rebrand? We don’t really see it as a challenge more of the beginning of a fresh and new era for us and although it may take time for people to adjust to the new brand name upon referencing the venue we know that sometimes you have to make a change to move forward to bigger things and we’re confident that our loyal fanbase will continue to move forward with us and grow with us as where we’re going as a brand is extremely exciting. 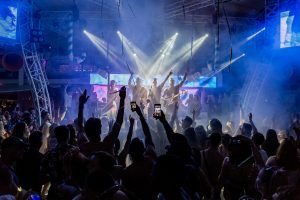 What can we expect from O Beach Ibiza over the next coming years? Global expansion is on our immediate radar and at the forefront of all of our current activity. This is a very exciting time for us as a brand and also for our fans as we’re working hard behind the scenes on various impressive projects that we’re excited to fully announce so keep your eyes peeled. We’re constantly striving to move forward, keep you guessing on our next move and what we have in store for you. 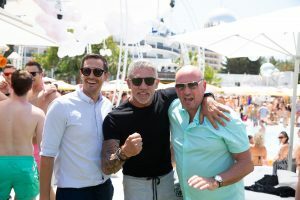 Can we expect any changes the original venue with it being changed to O Beach Ibiza ? You can always expect changes as we always want to evolve and continue to reinvest heavily each year. Anyone who comes year after year will see these changes and notice how we keep ourselves moving forward and upwards to ensure we make the experience even better than the year before. We pride ourselves on being at the forefront of what we do and to enable us to do this we need to develop, improve and strive for the best. Follow us on Facebook, Instagram and Twitter to keep upto date with the latest news.